The North Shore of Flathead Lake is a unique and special place. 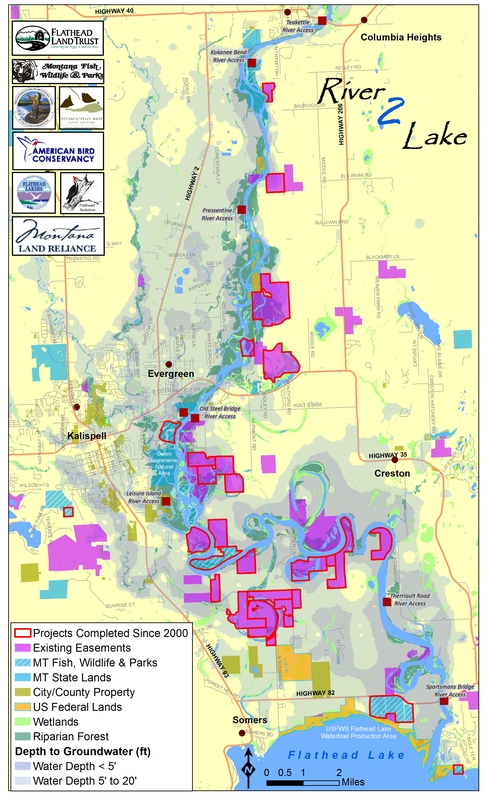 Its wildlife, water and natural beauty are key to the Flathead’s prosperity. Flathead River to Lake Initiative partners and land owners are working together to conserve the North Shore’s special qualities in the area extending from Somers to the Flathead River between Flathead Lake and Highway 82. The purpose of the North Shore Conservation Project is to protect this special landscape for future generations to use, enjoy and appreciate. Together we can achieve this vision. Conserve farm lands and open space by securing viable options and financial incentives for land owners. Protect and restore critical waterfowl and wildlife habitat. Enhance public access and maintain traditional hunting opportunities. Provide new public recreational opportunities, such as trails and a park. Connect local communities and augment economic vitality. For more information about North Shore conservation accomplishments click here. To learn how you can support the North Shore, please check our new R2L-North Shore Conservation Fund or contact us. The North Shore’s open fields, shimmering waters and surrounding mountain peaks enthrall long-time residents and visitors alike. The North Shore is the single most heavily used public hunting area for ducks, geese and pheasants north of the lake. It’s a place any family may enjoy Montana’s hunting heritage. Flathead Lake’s famous clear water depends on the quality of upstream lands. Healthy wetlands and floodplains along the Flathead River and the North Shore help protect our treasured lake. The productive soils adjacent to the Flathead Waterfowl Production Area are some of the richest in Montana. Conserving these soils helps keep farmers on the land. The North Shore’s unique combination of wetlands, lakeshore and farm fields is a magnet for birds: This habitat is important for waterfowl and upland bird hunters, as well as people who simply thrill at the sight of a bald eagle or tundra swan on the wing. 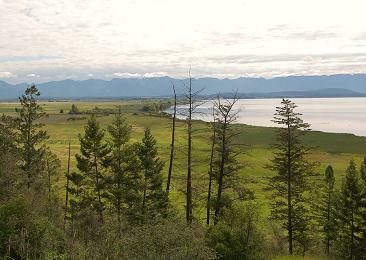 Read about our new R2L ~ North Shore Conservation Fund to conserve special places on the North Shore of Flathead Lake and along the Flathead River.